“An early video work by Brian Bress titled Rock Your Body (2006) finds the artist in a makeshift space suit dancing to Justin Timberlake’s eponymous song. In front of a carefully engineered homemade set composed of two French doors, two columns, and several sculptural objects, Bress dances while pulling objects out of his front-zippered suit. A large blue vase comes first, followed by several sticks, which he wields like batons during his jerky dance. By the end of the song, the sticks have been neatly put away inside the vase, which is sitting perfectly at the center of the tableau. After the music ends, Bress shimmies off the stage. 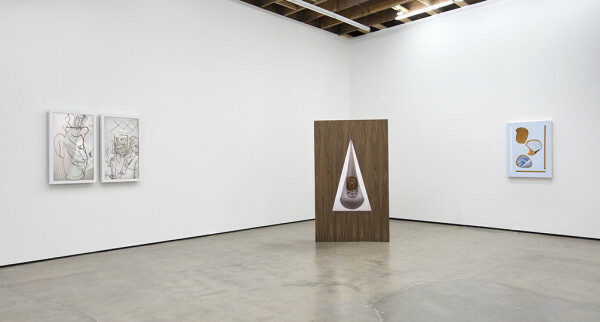 The appearance of this LA-based artist’s work has evolved considerably since then. 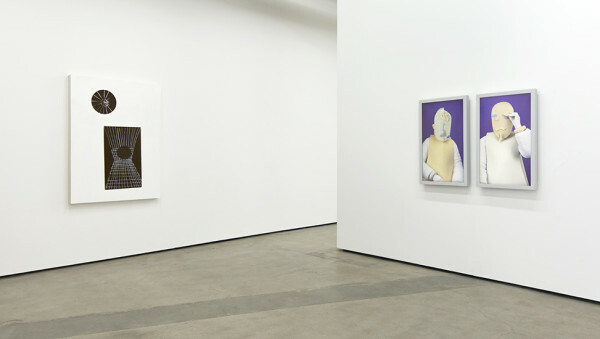 His 2014 solo exhibition at his Los Angeles gallery, Cherry and Martin, included several two-dimensional objects that resembled slick, highly polished, abstract and figural paintings, but were in fact high-definition, flat-screen video animations that featured varying degrees of movement. In the Clayhands series (2014), colored circles embedded within the canvas compositions act as stages for video footage of hands at work molding clay pieces. With the videos playing on loops, these animated paintings turn into abstract theaters where sculptures are made over and over again. Bress’ practice has evolved organically, through trial and error, to encompass the peculiar mix of drawing, painting, performance, and video that it is today. While his aesthetic sensibilities and technical execution have become much more sophisticated in recent years, his essential strategy remains the same: take a formal structure and burrow into it, exploring and animating it from within to create new ways of seeing and experiencing the scene…” – Carol Cheh for Art Ltd. The entry 'Brian Bress' was posted on January 13th, 2016 at 12:51 pm	and last modified on January 13th, 2016 at 12:54 pm, and is filed under Uncategorized. You can follow any responses to this entry through the RSS 2.0 feed. Both comments and pings are currently closed.